LOS ANGELES – The seasonally adjusted unemployment rate in Los Angeles County rose to 4.8 percent in December, up from a revised 4.7 percent in November, the state Employment Development Department reported Friday. The 4.8 percent rate in December was also up from the same month the previous year, when the rate was 4.5 percent. The seasonally adjusted unemployment rate for California was 4.2 percent in December, up from 4.1 percent in November but below the 4.5 percent rate from December 2017. The comparable estimates for the nation were 3.9 percent in December, 3.7 percent in November and 4.1 percent a year ago. According to the EDD, total nonfarm employment increased in Los Angeles County by about 7,300 jobs between November and December to almost 4.58 million. 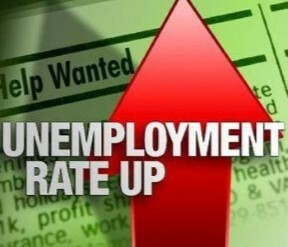 7 comments for "L.A. County jobless rate inches upward in December"
Booming economy!!! Unless you work in tech and are reaching age 40, or over 50 and in any industry. In this country you better have ALL your ducks in a row by age 40 or the freeway overpass becomes a reality. Yup, after 50 best be in management or owning your own business. VOTED FOR TRUMP BELIEVED HIS LIES ABOUT JOBS JUST TO FIND OUT HES A TRAITORUS CRIMIMAL THAT SOLD OUR COUNTRY OUT TO RUSSIA CANT WAIT TILL THEY THROW HIM AND HIS CRIMINAL FAMILY IN FEDERAL PRISON JUST LIKE JARED KUSHNERS FATHER. Unemployment at an all tie low….maybe you are just one of those who are unemployable disgruntled individuals that live life as a victim. It is easier to be a victim and become a pet, waiting for your owner to feed or bathe you. Oh, and we all believe you voted for Trump…..not too convincing.